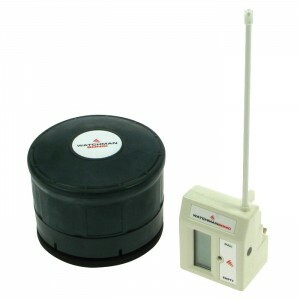 The wireless Oil Tank Watchman :: Certified remote oil level gauge available for domestic and commercial applications. The concept is simple, the probe with a battery powered transmitter is fitted to the storage tank which can then transfer the level information wirelessly to a remote receiver located in either the home or office. The clear easy to read display indicates the remaining volume of fuel in the storage tank. When the level reaches a critically low point a flashing red light / buzzer on the receiver draws your attention to it. Watchmansonic for single skin domestic oil tanks or Oil Watchman for Bunded oil tanks.